New Delhi – A preliminary analysis of the GST data reveals that there has been a 50% increase in the number of indirect taxpayers, besides a large increase in voluntary registrations, especially by small enterprises that buy from large enterprises and want to avail themselves of Input Tax Credits . 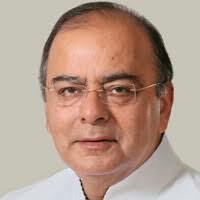 The Economic Survey 2017-18 presented today in Parliament by the Union Minister of Finance and Corporate Affairs, Shri Arun Jaitley informs that as on December 2017, there were 9.8 million unique GST registrants slightly more than the total Indirect Tax registrants under the old system (where many taxpayers were registered under several taxes). Therefore, adjusting the base for double and triple counting, the GST has increased the number of unique indirect taxpayers by more than 50 percent a substantial 3.4 million. The profile of new filers is interesting of their total turnover, bB2 transactions account for only 17 percent of the total. The bulk of transactions are B2B and exports, which account for 30-34 percent apiece. There are about 1.7 million registrants who were below the threshold limit (and hence not obliged to register) who nevertheless chose to do so. Indeed, out of the total estimated 71 million non-agriculture enterprises, it is estimated that around 13 percent are registered under the GST.